2009 One World One Moment by Starfish Stories : The Band is licensed under a Creative Commons Attribution 3.0 Singapore License. Based on the work at StarfishStories.wordpress.com. 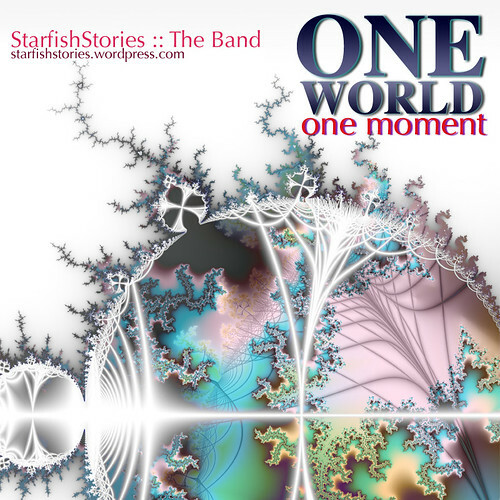 As long as you ATTRIBUTE the music to StarfishStories.wordpress.com in your website or printed materials (if any), you are FREE to USE, COPY, SHARE, MODIFY, or SELL (yes sell!) any of the songs from this album. Permissions beyond the scope of this license may be available at https://starfishstories.wordpress.com. We welcome comments on how to improve our music. Feel free to share what you liked or disliked. This might be confusing… this is a remix of a remix, that started from my original loop. Incidentally, Colab also remixed Teru’s mix! Creative Commons had a quiet but significant role to play in this whole process. No permission was asked because permission was already granted by the creators. And ccmixter.org is one heck of a site. Very well thought-out in terms of workflow and facilitating the creative process — from the structure way of uploading your samples, to searching for works, to crediting and linking to works that you use. 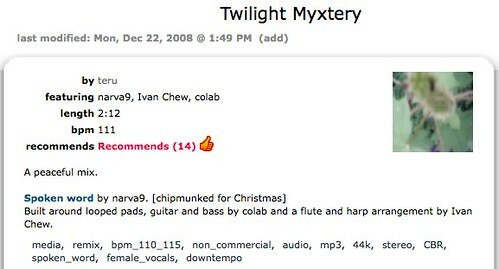 I’m going to suggest to Adrian that we have a “Twilight” album, all by itself. 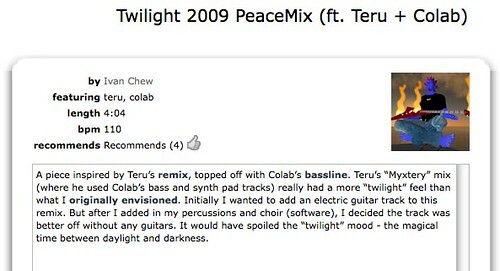 Thanks to Teru for using this sample (from Twilight 2008). Very different, and very cool, interpretation. Brilliant. Stroke Of Midnight (2009) by Starfish Stories :: The Band is licensed under a Creative Commons Attribution 3.0 Singapore License. Based on a work at starfishstories.wordpress.com. Permissions beyond the scope of this license may be available at https://starfishstories.wordpress.com/contact-the-band/.